When I was a child, I always looked forward to Saturday mornings because they meant cartoons and then a trip out to brunch with my dad. More often than not, our destination was the Oasis Diner. I have fond memories of sitting on round stools at the counter, enjoying eggs and bacon or a delicious Indiana tenderloin. 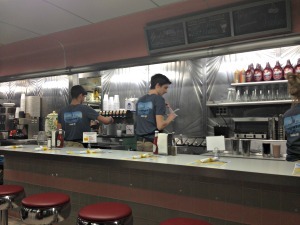 My memories of the Oasis Diner go back to it&apos;s time on West Washington Street. In 2009, the restaurant was in danger of being closed down due to structural defects. 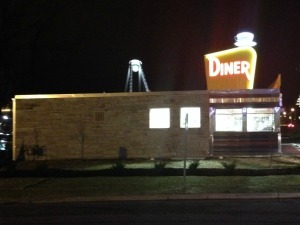 But earlier this year, thanks to the help of Indiana Landmarks and local developers, the Oasis Diner has new owners and a new home, four miles west of its previous location still on U.S. 40 at 405 W. Main St. in Downtown Plainfield. Since I had such wonderful memories of dining there with my father almost 30 years ago, I was really excited to take my son along for his first Oasis experience. Walking into the restaurant was a huge rush of nostalgia; the furnishings have been updated, but the restaurant still has the same look and feel I remember from my childhood. The feel of the 1950s is definitely present. The menu also did not disappoint. You can still get a delicious tenderloin, made with the same recipe the diner has been using for years. Oasis has a bakery on-site, and all of their bread products are baked fresh. There&apos;s also yummy hand-crafted sodas that are made locally, without any high fructose corn syrup. I highly recommend the butterscotch root beer! The restaurant was pretty busy, especially for a Sunday evening, but we didn&apos;t wait long for a seat and had great service. Breakfast is served anytime, and the options are plentiful! I had a delicious fried egg sandwich on an english muffin, and my son devoured his hot dog kid&apos;s meal. We had a great time enjoying the atmosphere and each other&apos;s company. One important note: the diner has been happily overwhelmed by all of the support they&apos;ve received from the local community. But because of the great response from the community, it&apos;s been necessary for the restaurant to close between 2 p.m. and 4 p.m. to restock for the evening dinner rush. Keep this in mind when planning your visit! 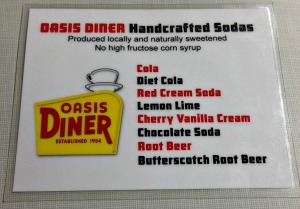 When you visit the Oasis Diner, you don&apos;t just get a healthy dose of nostalgia; you get a tasty meal and service with a smile. I am so happy that this fond childhood memory of mine was preserved, and I am excited that I&apos;ll be able to share the diner experience with my family for years to come. Hours: Open Daily from 6 a.m. to 2 p.m. and 4 to 9 p.m. 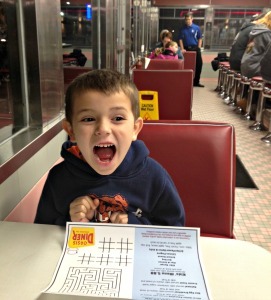 Menu: Available Online -- breakfast is served anytime; kid&apos;s menu available. Meet the Locals: If you&apos;re looking to meet new people and give back to the community,The Kiwanis Club of Plainfield meets at the Oasis Diner on the first and third Thursdays of each month at 7:30 a.m. The public is always welcome to join them for breakfast.